The Leyland cypress or cupressocyparis leylandii is an evergreen hedging conifer generally chosen for its exceptionally rapid growth; it can grow up to a stunning 90 centimetres per year. The Leyland cypress is a natural hybrid of two North American species of coniferous trees – the Monterey cypress from California and the Nootka cypress from Oregon – although surprisingly enough, it was born in the UK. Leylandii, as they are often simply referred to, have a compact, dense growth habit and are often used in hedges of a more formal appearance. They provide a quick boundary between gardens and shelter from noise and wind. Because of their growth rate, leylandii hedges are very quickly established; you can acquire a decent privacy hedge in no more than three years. 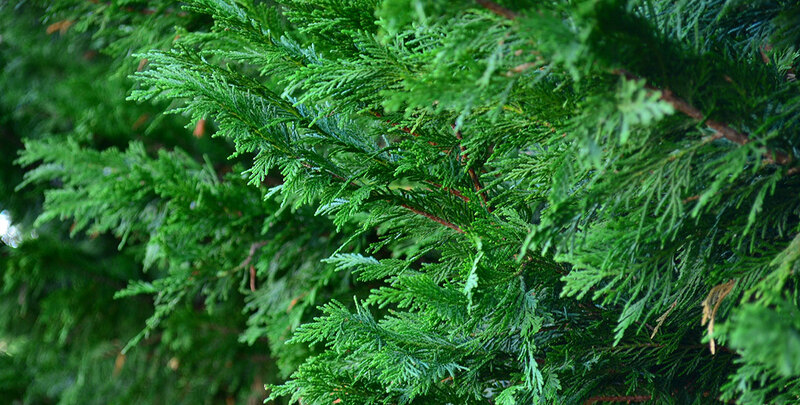 The fact that leylandii are the fastest growing hedging conifer is not only an advantage. Leylandii hedges can easily get out of hand and require frequent maintenance. A minimum of two clippings per year will do the trick. However, the Leyland cypress is an ideal choice for hedging if you require a dense screening hedge in just a few years at very little cost. Because of this, they are often used to quickly provide new-build housing developments with hedges. It is worth noting that young Leyland cypress hedges have a relatively open growth, so they will not immediately grant you total privacy. However, after its growth has become denser, your patience will be rewarded with an attractively coloured, evergreen hedge. The hybrid between the Monterey cypress and the Nootka cypress was unlikely to ever occur in the wild, because their natural ranges are over 600 kilometres apart. On the estate of Liverpool banker Christopher Leyland in the Mid Wales county of Powys, however, the female flowers or cones of the Nootka cypress were fertilised by the Monterey cypress. This is how, despite being born from two North American species, the Leyland cypress is a genuinely British plant. This has likely contributed to its immense popularity in the UK, where it has become one of the most popular hedge plants. It has been the top selling item of almost every British garden centre for many years, making up to a tenth of their total sales. However, the popularity of the Leyland cypress as a privacy hedge in the UK comes with a price. 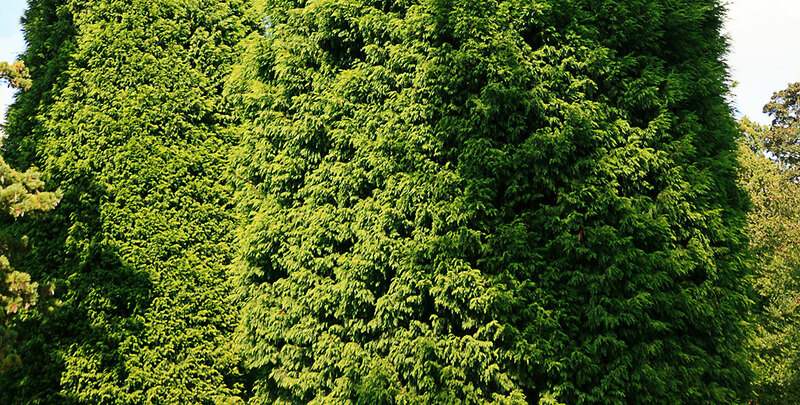 Since a Leyland cypress hedge can reach a height of up to 35 metres without proper maintenance, they have been a constant source of neighbourly disputes for a long time, sometimes even leading to violence. In one extreme case in the county where the hybrid was born, a dispute about a Leyland cypress hedge even led to murder. That is why the English and Welsh authorities, by means of the Anti-Social Behaviour Act of 2003, were given the power to order hedges to be reduced in height. However, when pruned just twice a year, a Leyland cypress hedge is unlikely to disturb your neighbours and rob them of their sunlight. When it comes to pruning, however, leylandii hedges are less user-friendly than other conifer hedges. Due to their vigorous growth, leylandii hedges unfortunately have a tendency of becoming excessively large if they are not pruned very often. 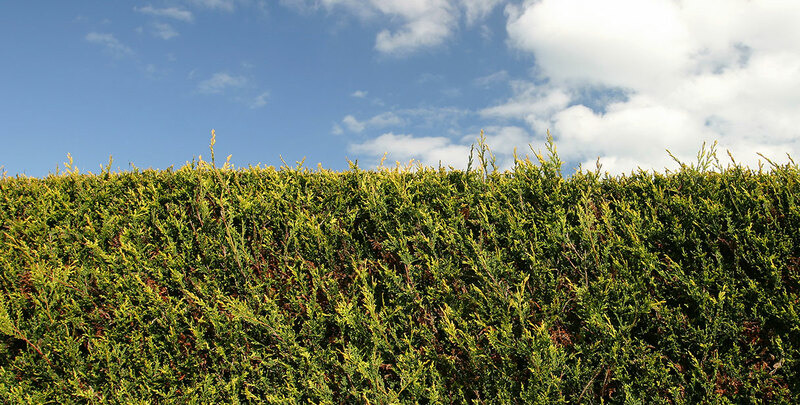 If you wish to keep your hedge compact and neat, it may be necessary to clip it up to three times a year. One or two cuts between May and August will keep your hedge healthy, but there is a chance that it will get too wide and tall. 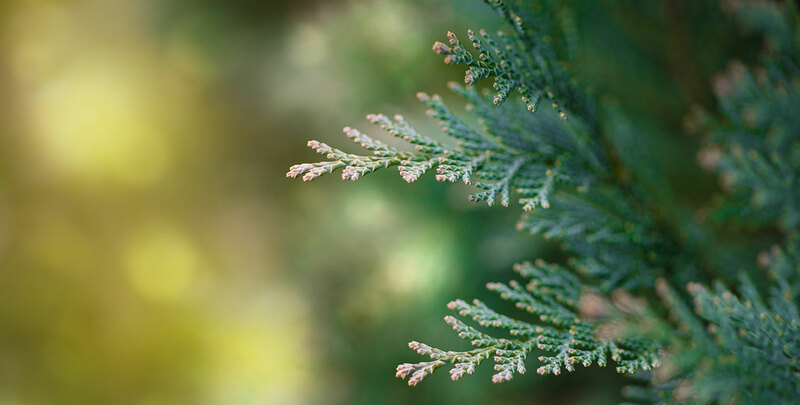 If you prefer a hedge that is more slow-growing and can handle more rigorous pruning, the English yew or one of the thuja varieties are suitable alternatives. The fairly similar Lawson cypress does not tolerate aggressive pruning either, although it is slower growing and therefore, less likely to become overgrown. Leylandii hedges may not be trimmed back to bare wood, since this species does not produce new growth from old wood. This means that they cannot be brought back to their original state without damaging the trees if they become overgrown. However, as long as you stick to the aforementioned instructions, the Leyland cypress is an excellent choice for hedging. It will perform well in most positions, but waterlogged soils should be avoided, as well as prolonged dry periods. Young plants are best kept moist to ensure they stay healthy. Taller hedges can be reduced to up to one third of their original height in the somewhat likely case that they become overgrown. Rigorous pruning is best done in April. This British hybrid between two North American plants will certainly perform well in our climate. And since leylandii are evergreens, they will even decorate your garden with their beautiful green or yellow colour even during the cold winter months. However, the needles have a tendency to turn brown if they do not get enough sunlight. It may take some time before the growth of a Leyland cypress is dense enough to grant you total privacy and if that is a concern for you, you could always consider planting a Leyland cypress ‘Castlewellan Gold’, which tends to produce more bushy growth during its first few years.